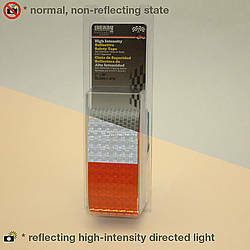 ISC REF1X24 Black Reflective Tape blends in with black during the day and shines bright white at night when another headlight reflects it. 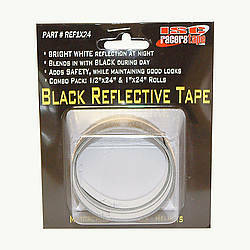 Improves safety and nighttime visibility while maintaining good looks. 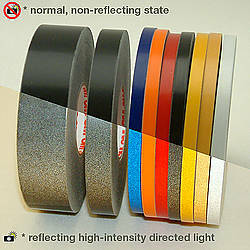 Perfect for the rear of motorcycles, bicycles, snowmobiles, helmets, or anything imaginable that you want to be seen. 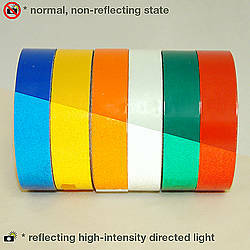 Hardly noticeable on black, which is the color of choice on many vehicles or bicycles on the roads today. 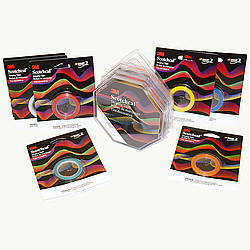 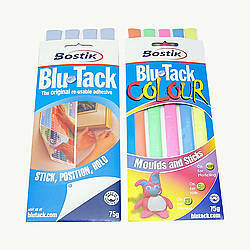 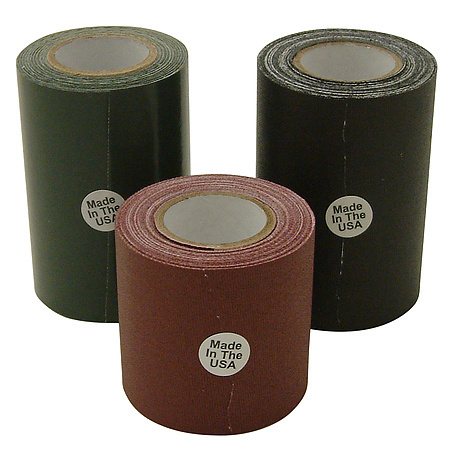 Comes in a small retail pack with a 1 inch x 24 inch strip and a 1/2 inch x 24 inch strip. 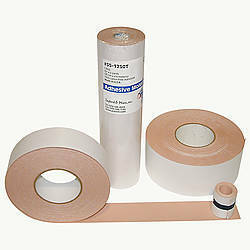 Cut to desired length or pattern, then remove backing and apply. 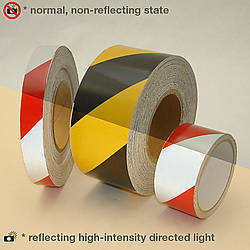 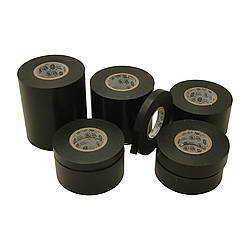 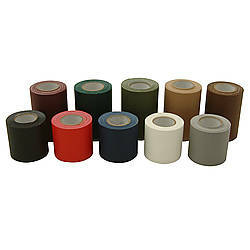 The tape has a typical coefficient of retroreflection of 30 and meets NFPA requirements.